The Wolf Tooth Powertrac Chainring works with your biomechanics to achieve optimal efficiency and power with every pedal stroke. Not only will you gain more power, but you will also benefit from greater traction, and less shifting. 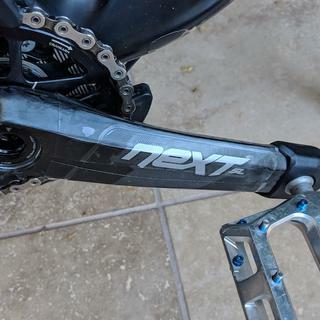 Wolf Tooth's proprietary design is less ovalized than its competitors, eliminating the funky, uneven pedaling sensation while delivering the optimum pedal stroke. 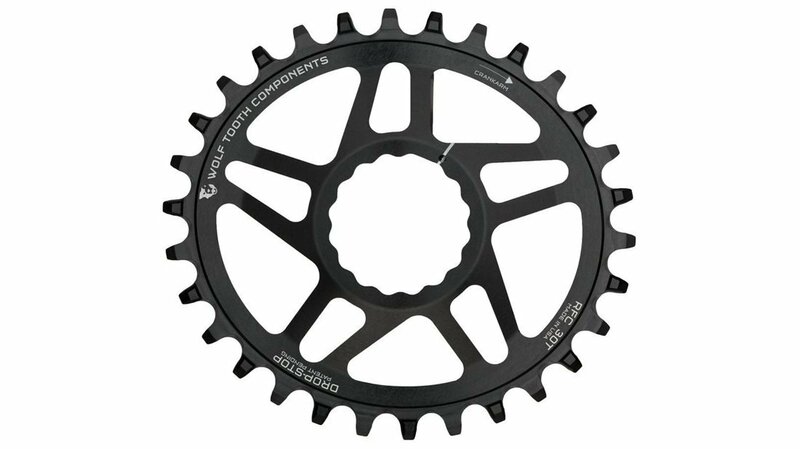 Just like Wolf Tooth's other single speed chainrings, the Powertrac features Drop-Stop tooth profile that holds the chain snugly to the chainring. Wolf Tooth offers PowerTrac Elliptical rings in a wide variety of sizes to fit all major brands' cranks. Just pick your size and configuration, order, install, and start pedaling as normal - your new oval rings will do the rest! Not sure if I notice the difference. I purchased a 30t to pair up with Eagle X01. After a few 20+ mile all mountain rides I am not sure I notice the difference. It doesn't feel like an oval and I am not sure if I am putting more power down. But to its defense I absolutely hate climbing and have crap form. Any advantage I can get I'll take. Either way for the sale price I purchased it at, I am happy with it.